 The name of the Society shall be the Alabama Vegetation Management Society. The purpose of the Society shall be to promote proper vegetation management techniques on rights-of-way and industrial sites, to provide for the scientific and educational advancement of members, to encourage scientific research, to promote the exchange of information among members, and to extend and develop public interest in the discipline. The principle place of business shall be located as the Board of Directors may decide. All memberships shall be subject to the approval of the Board of Directors. There shall be the following classes of membership. (a) Regular members. Any person who is interested in the advancement of the Society and its goals. (b) Student members. Any full-time (degree seeking) student. The signature of a faculty advisor must accompany applications. (c) Retired members. Any member who has held ten (10) or more years prior membership upon retirement from active professional duties. Charter members are eligible for retired membership upon their retirement from professional service. Application should include dates of initial membership and of retirement from active service. (d) Sustaining members. Institutions and organizations interested in the advancement of the Society and its goals. Sustaining members shall have all of the rights and privileges of members except that of holding office. Sustaining members shall have (1) vote cast by a duly authorized delegate. (e) Honorary members. Nominees for honorary members shall be submitted by the Membership Committee in the form of a petition signed by no less than ten (10) active members or a nomination from the Membership Committee. After an evaluation to ascertain if they meet the qualifications, the Membership Committee will make a recommendation to the Board of Directors for approval of the nominee(s). It will take a two-thirds majority for the election of said candidate. (f) A charter member shall be defined as all members on the books no later than the first day of the annual meeting of 1988. All regular, retired, and honorary members shall have the right to vote. Officers of the Society shall be: (a) President, (b) President Elect, (c) Past President, and (d) Editor. The President shall preside at all membership and Board meetings; shall, in consultation with the Board of Directors, appoint all committee chairmen, and shall perform all other duties incidental to the office. The President shall prepare, in collaboration, with the Executive Secretary, an annual report of the Society's activities to be presented to the annual meeting of the Society. The President Elect shall perform the duties of the President when the latter is absent, chair the Program Committee, and perform other duties as may be assigned by the President or Board of Directors, and shall succeed the President. The Past President shall perform the duties of President when the President and the President Elect are absent, chair the Nominating and Awards Committees and perform other duties as may be assigned by the President or Board of Directors. The Executive Secretary shall be a compensated position in the Society. The actual duties performed and compensated will be at the discretion of the Board of Directors of the Society. The Executive Secretary shall be custodian of all dues and funds of the Society, maintain a record of Board policies and procedures, maintain membership records, serve on the Membership Committee, pay all bills authorized by the Board of Directors, and at the annual meeting give a true and complete report of the financial status of the Society. The Executive Secretary shall, before assuming office, be required and execute a good and sufficient surety bond in an amount of no less than Twenty Five Thousand ($25,000) Dollars conditioned on the faithful performance of the duties of his office. The expense of said bond to be borne by the Society. The Executive Secretary shall deposit all receipts in a financial institution designated by the Board, and the signatures of the Executive Secretary, or President shall be authorized on Society checks. An annual audit of the books shall be made by the Auditing Committee, and a report on the audit presented to the Society membership at the annual meeting. The Executive Secretary shall also keep minutes of all meetings, mail out minutes and notices as directed by the Board, and perform other duties usually associated with the office or perform other duties as may be assigned by the President or Board of Directors. The Editor shall prepare and maintain official publications of the Society. Officers will serve for one year or until their successors have been duly chosen. Presidents may not succeed themselves. All other officers and directors may succeed themselves for one consecutive term, but then must relinquish said office for a like period of time equal to their term in office. Officers and Directors elected at any annual meeting shall begin their duties at the close of said meeting. The Society officers and directors shall be nominated by a Nominating Committee, which shall be appointed by the Board of Directors with the advice of the President. In addition, nominations may be submitted from the floor at the annual business meeting. Prior to a nomination, the candidate(s) must have agreed to serve in the office for which they are to be nominated. A candidate must receive a majority of the votes cast to be elected to the office for which said person was nominated. The President of the Society shall be Chairman of the Board of Directors. The Board of Directors shall meet upon the call of the President or upon the request of three or more members of the Board of Directors submitted in writing to the Executive Secretary. At least fifteen (15) days prior notice in writing shall be given to all members of the Board of Directors as to any meetings. The time and place of meeting shall be designated by the President. A majority of the members of the Board of Directors shall constitute a quorum for the transaction of business. An action of the Board of Directors shall be upon the vote of the majority of its members present. The Board of Directors shall meet no less than two (2) times annually. One meeting shall be held immediately before the annual meeting of the Society and one meeting after the annual meeting. Additional meetings will be called as necessary. The Board of Directors shall manage the affairs of the Society and shall have the power: (1) to fill vacancies between annual meetings among the officers of the Society including the membership of the Board of Directors; (2) to prescribe the duties of the officers of the Society not otherwise prescribed in the Bylaws of this Society; (3) to provide rules and regulations for the conduct of the affairs of this Society as are consistent with the provisions of the Bylaws; (4) to accept or reject applications for membership in this Society in all matters demanding action between meetings and shall submit at the next succeeding meeting of the Society a report of all actions taken by them under authority of this section. A quorum for any meeting of the Society shall consist of not less than fifteen (15) voting members, or 10% of the membership, whichever is smaller and at least two of whom shall be officers of the Society. All motions and resolutions presented at any annual meeting of the Society involving matters of policy, administration or business shall be referred to the Board of Directors who shall consider the same and report its recommendation back to the Society; provided however, that should any matters require immediate attention by the Society, such matters may be considered immediately by consent of three-fourths of the active members present and voting. There shall be an annual meeting of the Society for the election of officers; the presentation and discussion of pertinent information on vegetation management related subjects and such business as may be properly brought before it. Such annual meeting shall be held at such time and place as the Board of Directors may decide. At least thirty days prior notice shall be given in writing to all members as to the time and place of the annual meeting. Special meetings of the Society may be held whenever the Board of Directors deems such meetings necessary or whenever a quorum of active members shall make a written request thereof presented to the Executive Secretary. Such request shall be placed with the Board of Directors, which shall designate a time and place for such special meetings. The Executive Secretary shall give written notice of all special meetings of the Society to all members at least two weeks prior to the date of such special meeting. The Annual Membership dues shall be payable on or before the first day of the annual meeting and shall be delinquent 60 days after the first day of the annual meeting. Annual dues shall be as follows: Regular members $10.00; Student members $5.00; Retired members $5.00; Sustaining members $250.00; and Honorary members, none. 1. Membership Committee: This committee shall consist of not less than three members, one of whom shall be the Executive Secretary. This committee shall promote memberships in the Society. 2. Editorial Committee: This committee shall consist of at least three members who shall assist the Editor in generating and distributing newsworthy and educational items of the Society. 3. Program Committee: The program committee shall consist of the members of the Board of Directors, chaired by the President Elect, and its duty shall be to provide programs for each annual meeting. 4. Nominating Committee: The nominating committee shall consist of not less than three members, one of whom shall be the immediate Past President, who shall serve as chairman of this committee and recommend to the Society candidates for election to the several offices. 5. Awards Committee: The awards committee shall consist of not less than 3 members, one of whom shall be the immediate Past President, who shall serve as chairman of this committee and receive nominations from the general membership for the Distinguished Service Award. 6. Special Committee: Such other committees as from time to time may be deemed necessary shall be appointed by the Board of Directors. 7. Internal Audit Committee: This committee shall consist of at least two members who shall audit all books and fiscal documents of the Society annually, prior to the annual meeting. Business sessions of the Society shall be conducted in accordance with Robert's Rules of Order. All publications of the Society shall be issued under the direction of the Editor and shall become the property of the Society. These Bylaws may be amended by a three-fourths vote of the active members present at any meeting, provided the notice of the proposed amendment has been given in writing to the Executive Secretary and transmitted by him to active members thirty days before the annual meeting. The Society shall have perpetual existence, but if dissolved, its assets shall be donated to a non-profit organization for research on vegetation management or to a scholarship fund, which shall be selected by the last Board of Directors. These Bylaws were adopted as presented at the 2003 annual meeting.